Kuta is said to be a paradise for surfers with 5km of long sandy beach, good accommodations and plenty of restaurants and bars to please even the fussiest of travellers rif and I were invited to stay at Sheraton Bali Kuta Resort last month and we had a wonderful time there; from the moment we arrived until we checked out. 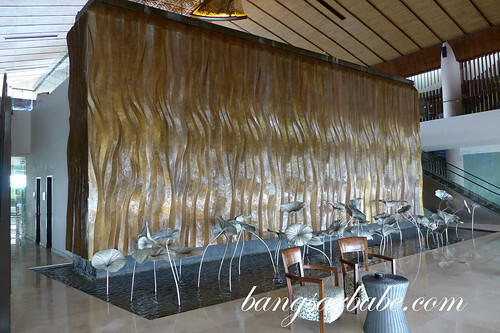 We were warmly greeted by the staff and swiftly ushered to the second level for check-in procedures. Check-in was swift and pleasant. While waiting for our details to be finalized, we were offered cold towels and a welcome drink to cool down from the sunny weather. 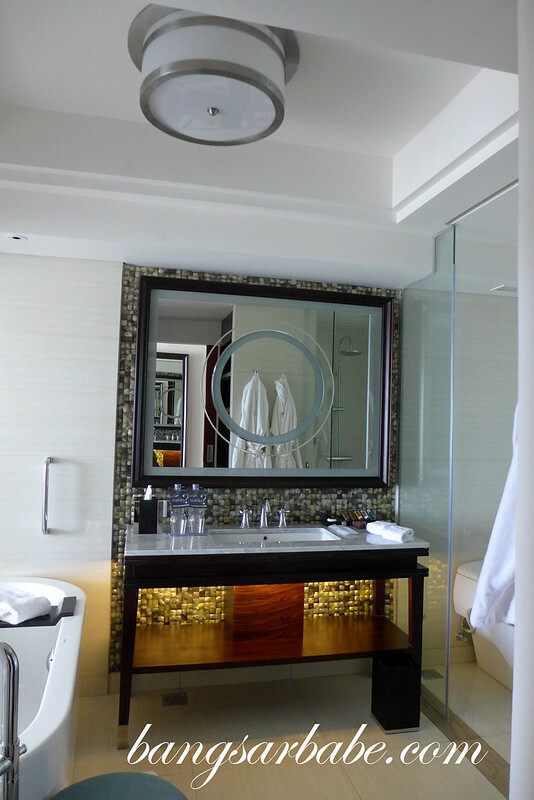 As soon as the check-in was completed, rif and I were ushered to our Deluxe King Ocean View Room to freshen up. We like the look and feel of the room. The décor is modern while retaining a simplistic Balinese look and feel, and the room comes with a private balcony that offers a view of Kuta Beach and Bali Strait. Each room comes with an LED or LCD flat screen TV, a multimedia system with iPod connectivity, and international electrical outlet and high speed internet access. 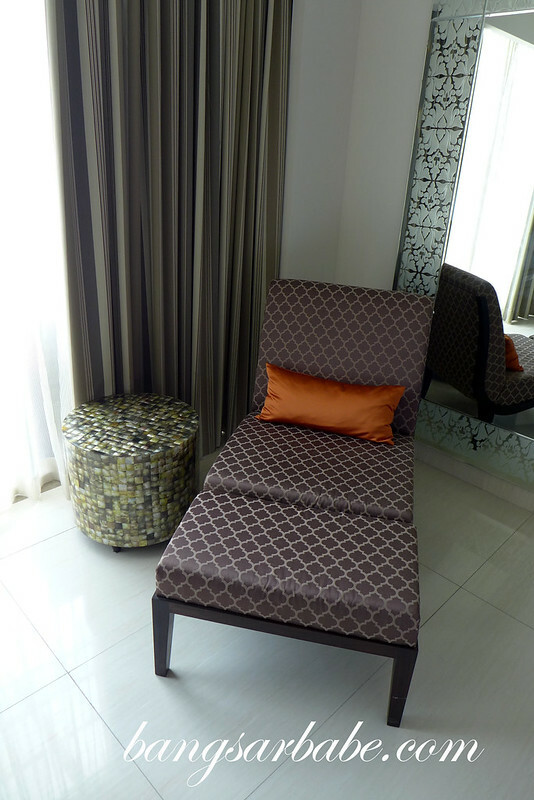 The furniture has accents of pearl shell motifs and adds character to the room. Bed comfort is often an important factor for every savvy traveler, and you’ll be pleased to know that Sheraton’s Sweet Sleeper Bed boasts a plush mattress, fine cotton sheets, cosy duvet and down pillows. On both nights, we slept well. 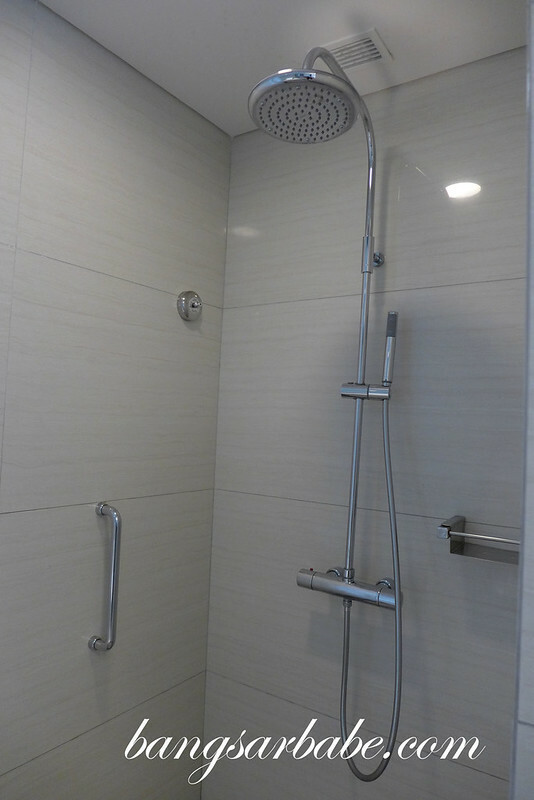 Our spacious spa-inspired bathroom comes with a freestanding bathtub and rainforest shower, with separate stalls for shower and the toilet. 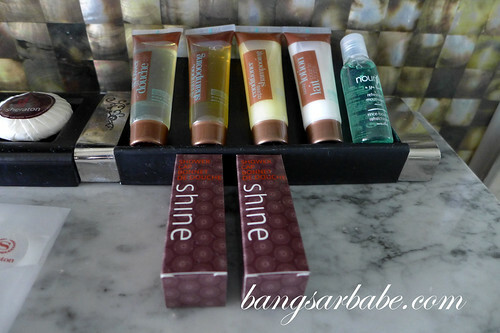 Basic toiletries such as shampoo, conditioner, body gel and soap are provided for your personal comfort. I needed some cotton buds to cleanse my face and the housekeeping team promptly sent some up to me. If you need anything from the hotel, just call the front desk and they will try their best to assist you. The resort facilities include an outdoor infinity pool, hot tub/Jacuzzi, 24-hour fitness centre, spa and business centre. For those who drive, there is a complimentary underground parking for hotel guests. 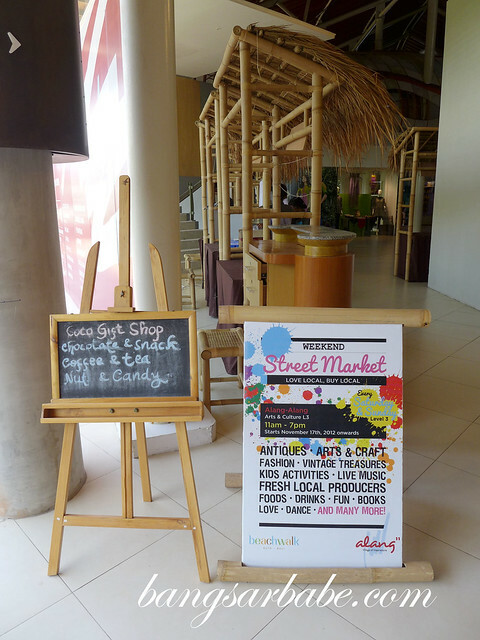 Shopping is made easy as the beachwalk shopping centre is connected to the hotel via the exit next to Feast restaurant. For parents with young children, childcare service is available at a dedicated area called Miniapolis in beachwalk, complete with game centre and mini water park. Please call the hotel front desk to enquire within. 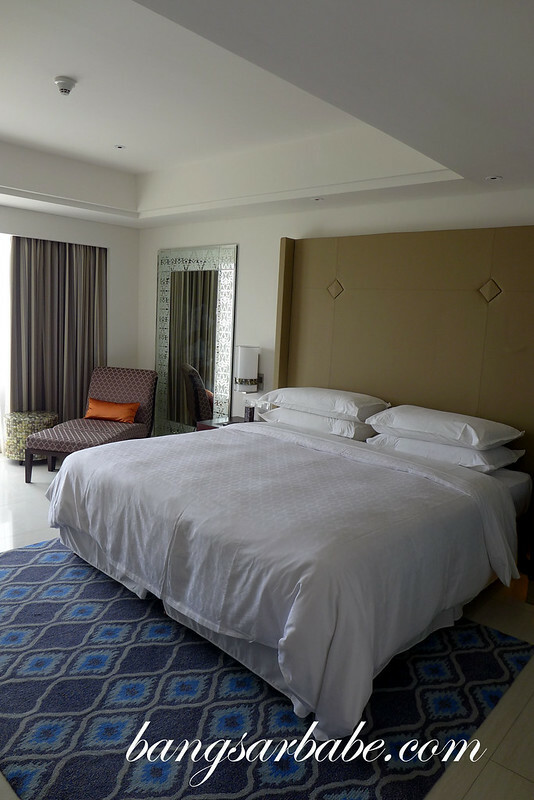 Sheraton Bali Kuta Resort offers concierge service for the wheelchair bound, and getting around the hotel is relatively easy with the use of lifts and quick access to the ground floor. 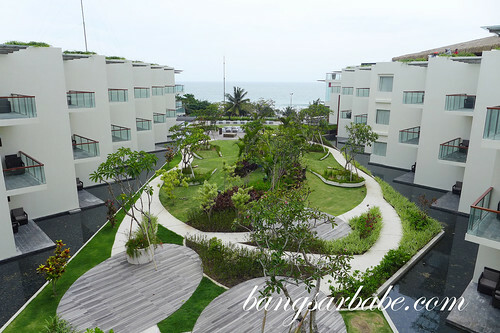 The outdoor pool boasts a lovely view of Kuta Beach and the Indian Ocean. It is beautiful at sunrise and even more beautiful when the sun sets! Tip: Kuta, along with Seminyak and Jimbaran is popular for its beautiful sunset view. 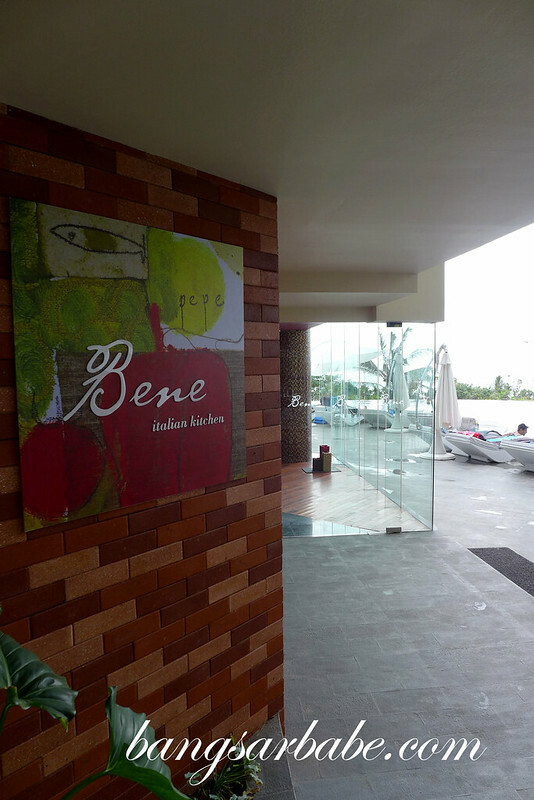 There are three dining options at the resort – Feast, Bene and The Lounge. 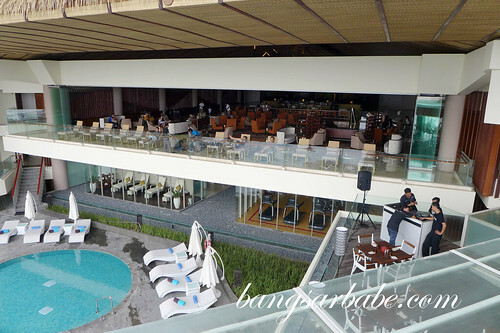 Feast is the Sheraton Bali Kuta Resort’s signature dining restaurant that offers breakfast and dinner buffet, as well as à la carte dishes, while Bene (my review here) boasts a modern trattoria ambiance with hearty Italian dishes. Relax at The Lounge with a glass of wine from Starwood Wines of The World list, cocktail or espresso as you take in the panoramic view of the ocean and sunset. The Sahid Grand Ballroom is large enough to accommodate up to 500 guests, making it a good venue to have weddings. It is also a popular venue for conferences – evident from the business summit held when I was at the hotel. 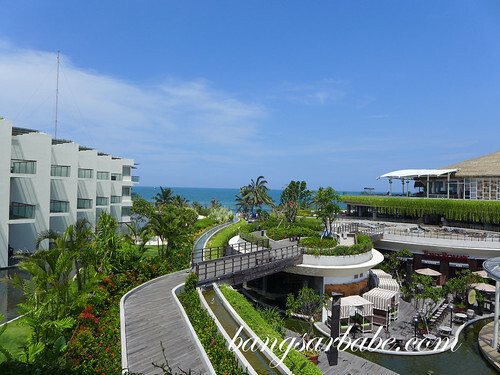 This five star resort in Kuta faces the beach and I find its location very prime. As mentioned earlier, the resort is adjacent to beachwalk shopping centre, which offers a good variety of brands as well as clothing from local designers at Satu and 2.0. 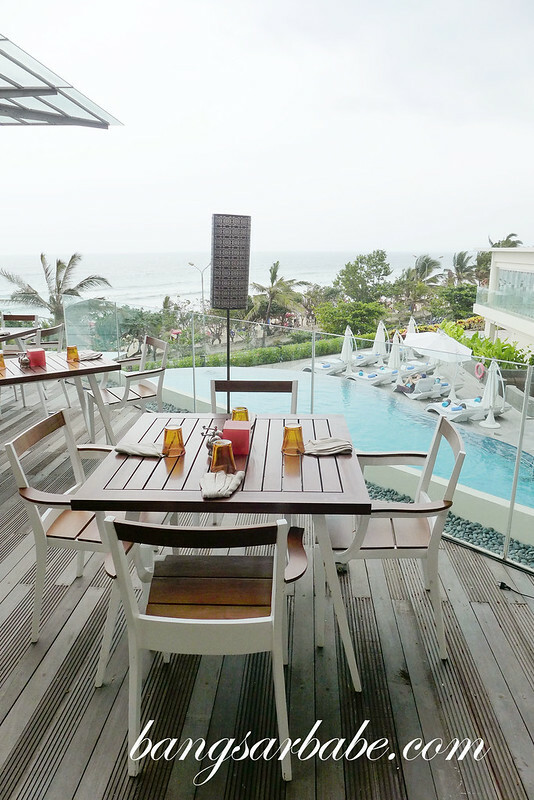 There is also a food court at the top floor with a gorgeous view of Sheraton Bali Kuta Resort and the beach. Food court with a great view! During the weekends, hotel guests can check out the Alang Alang flea market next to the food court for nibbles and little knick knacks. 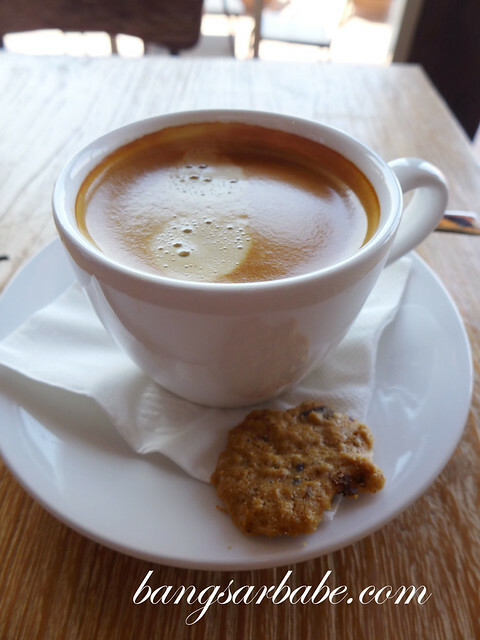 Coffee lovers will find comfort in the variety of coffee beans available at Dirt Java Coffee (my review here). 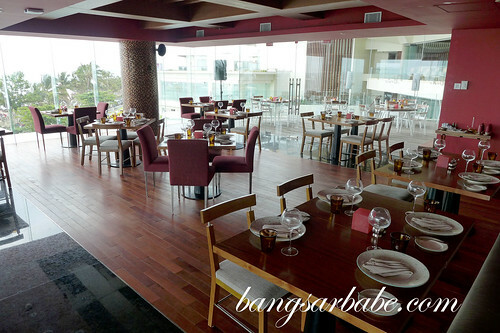 Breakfast at Feast (my review here) is fairly extensive and food is consistent on both days. I liked that the staff knew how to prepare Eggs Benedict properly – good shape, runny yolk and nicely toasted muffin bun. Presentation is important to Chef Rossano; the yogurts came in cute jars and the fresh juices are kept in similar small bottles. Very nice touch! 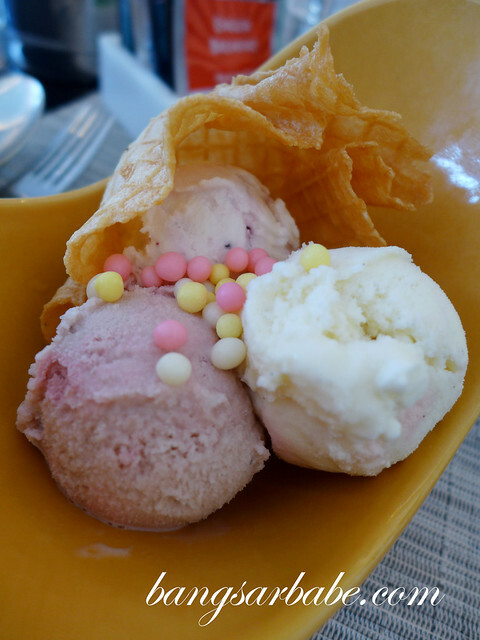 If you have enough stomach space after all tucking into the breakfast spread, try the yogurt sorbet with waffles. My favourite flavours were vanilla and blueberry. Service was commendable. Our plates were cleared and our coffees, refilled swiftly. 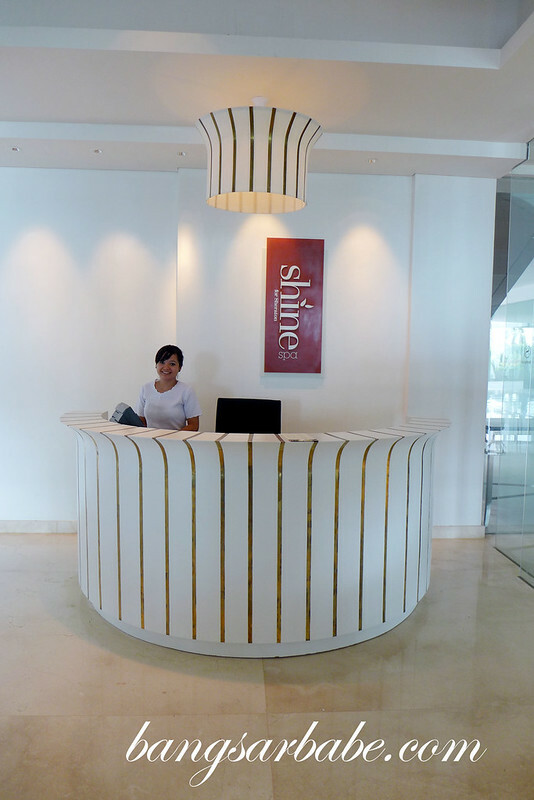 Shine Spa offers guests of the resort a 20% discount on spa treatments and massages, so do call ahead to book a spot if you need to unwind and relax. 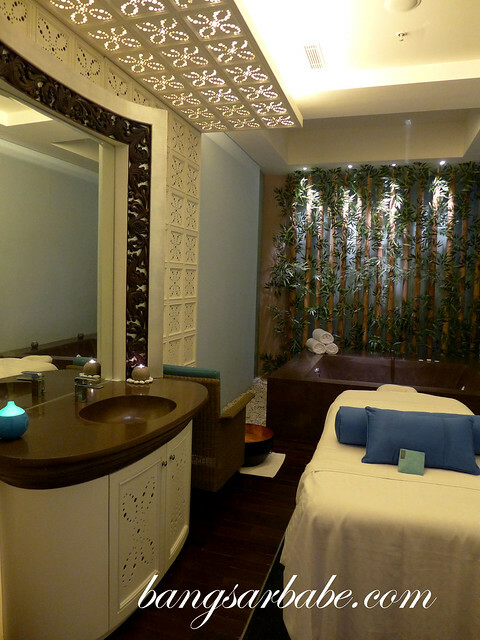 My 1-hour massage left me feeling rejuvenated and relaxed. 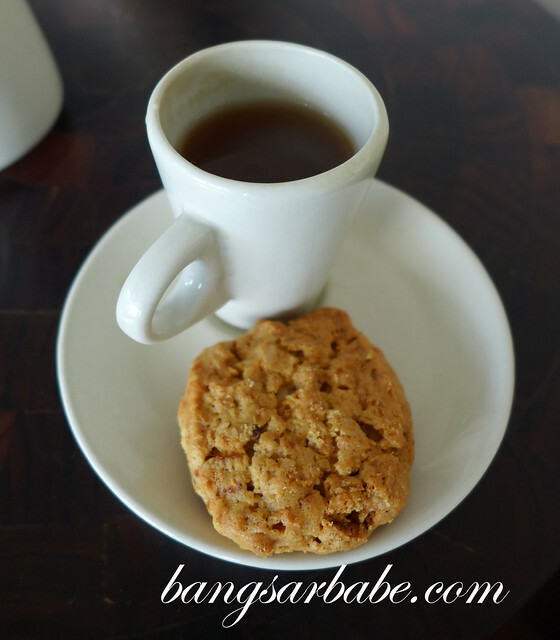 The hot ginger tea served after the treatment really helped awaken my senses. 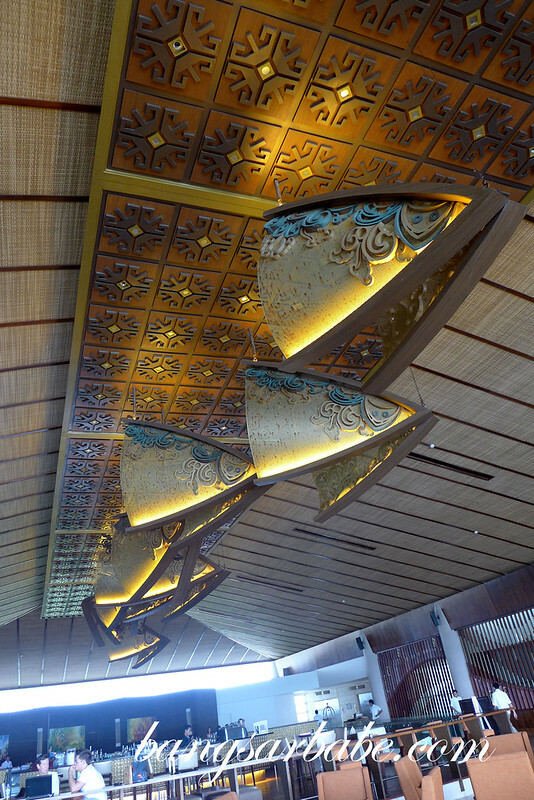 Sheraton Bali Kuta Resort is the Starwood brand’s fifth hotel in Bali. For more information about Sheraton Bali Kuta Resort and room rates, please visit the resort’s official website at www.sheratonbalikuta.com. 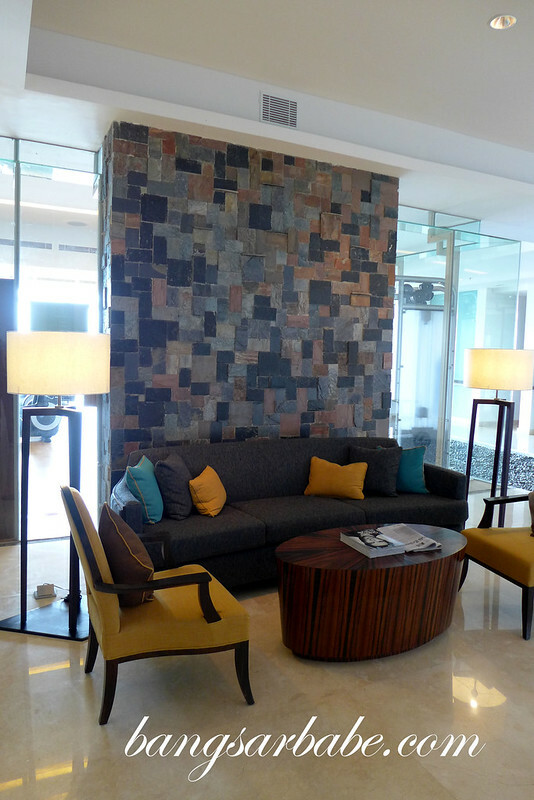 Also, like Sheraton Bali Kuta Resort on Facebook and follow the hotel on Twitter. 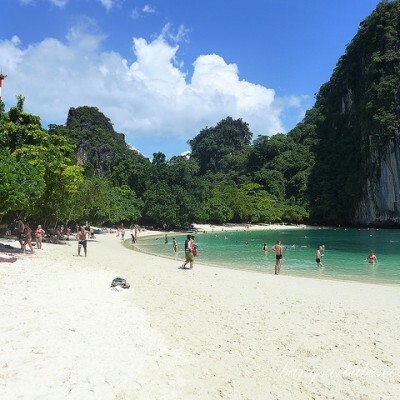 The place is so green and so blue.Very nice resort! I especially like the infinity pool. Yeah, it’s a lovely hotel!